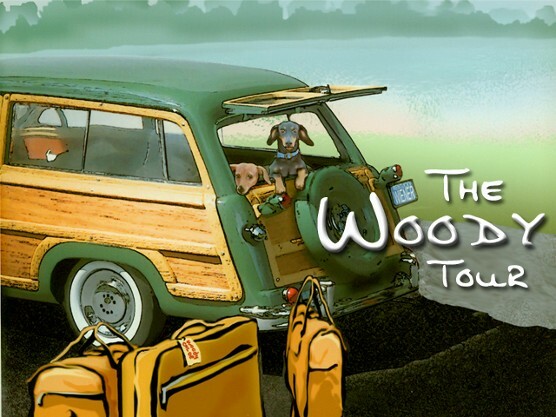 Woody & The Gang would love to add your school, library, church, or organization to THE WOODY TOUR. We offer programs such as Woody's Five Ways to Be Successful, Woody's Five Ways to Improve Writing, Three Tips from Woody, Chloe's Five Ways to Be a Classy Chick, as well as many other programs. We have a wide variety of options on our menu - everything from the CHILI DOG DELUXE to the HOT DOG SNACK. We will be happy to find a program and fee that works for your organization and your budget. To see programs and fees, check out Woody's Hot Dog Menu. Are we scheduled at your school? If so, build excitement by visiting our Fun with the Pups page to find coloring sheets and puzzles. Woody and Chloe are constantly booking dates for the 2108-19 school year. Check back to see the schedule. If you are interested in having us speak at your school, library, church or other venue, please fill out the form or email us directly at ronandleighanne@thewoodybooks.com or woody@thewoodybooks.com.